Two college friends who slowly realize they mean more to each other than either had initially realized. 4 Days joins Derek and Mark in the days leading up to Valentine's Day - over the course of a few years - charting the blossoming of a friendship in to something much more enduring as time goes on and challenging both to question who they thought they were and who they truly want to me. Painting a moving picture of how an abiding friendship can sometimes lead to love - and how we sometimes have to wrestle with our own demons to find their true self - 4 Days is achingly romantic and delicate. Taking place over the course of four years ? or, more specifically, four consecutive Valentine's Days ? this achingly romantic new indie from Filipino auteur Adolfo Alix Jr. takes an intimate look at the complicated relationship between two college buddies. Through intrusive, carefully selected long takes, we're invited to observe the pair year after year and witness as the tension between them escalates. Lead actors Mikoy Morales and Sebastian Castro give exceptional, often heartbreaking performances in this thoughtful and patient romance ? wherein the awkward silences and furtive glances speak volumes. 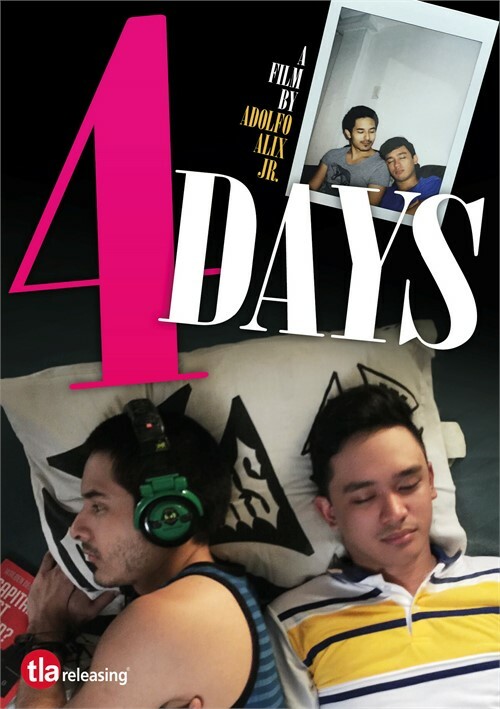 Derek (Mikoy Morales) and Mark (Sebastian Castro) are best friends who begin to see that mean everything to each other. We follow over a few years and watch their friendship change into something much more emotional. Both men begin to challenge who they think the other is and who they think they are. This is a beautiful look at how friendship can become love and that it is difficult to learn who we really are. It is the emotion that we see that make this such a romantic and delicate film. The film spans four years or better said, four consecutive Valentine's Days. Directed by Adolfo Alix, we get a close and intimate look at the relationship between two friends. The real beauty here is in watching their feelings change year after year as they realize what they mean to each other. buddies. It is almost as if we are peeping Toms watching an intrusive camera. The two actors give beautiful performances in which their eyes say what is inside.